Learn: Our broad-based curriculum includes written materials, recorded teachings, and live seminars. These tools cover the history of the Jewish people, the history of Christian anti-Semitism, and media bias. They also provide a basic understanding of the current conflict, sharing a host of reasons for standing with Israel. 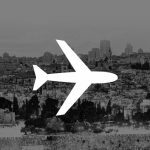 Go: Our prayer pilgrimages to Israel, are educating and training Christians from around the world to be actively supportive of Israel. This pilgrimage to Israel not only connects participants with the land’s rich biblical history, but also connects them with Israel’s present and future. 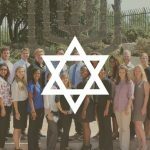 Become: The culmination of the program is an opportunity to be officially commissioned as a Watchman on the Wall for Israel during a special government-sponsored ceremony in Jerusalem. Once commissioned, Watchmen can discover a host of opportunities to take what they have learned and experienced to become articulate ambassadors in their communities on behalf of Israel and the Jewish people.